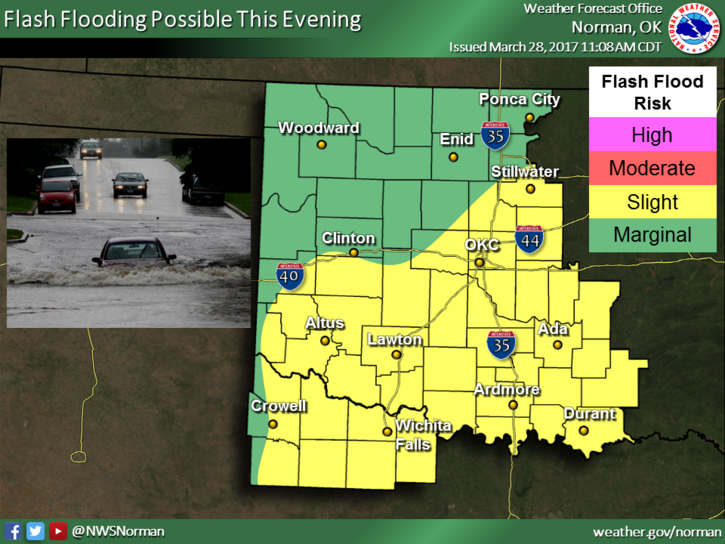 Severe thunderstorms, heavy rainfall and flash floods are possible Tuesday and Tuesday night across most of Oklahoma. 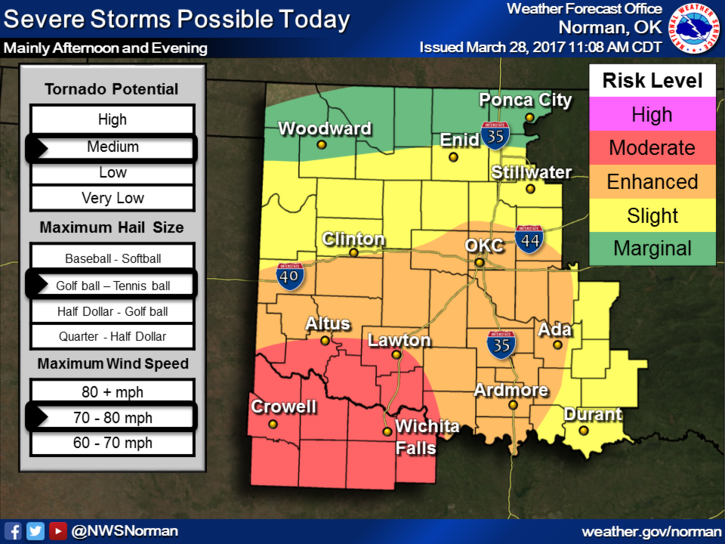 The highest risk for severe storms will be in southwestern Oklahoma, including the communities of Lawton and Altus, where the chance is greatest for isolated supercells with large hail and possible tornadoes this afternoon and evening. 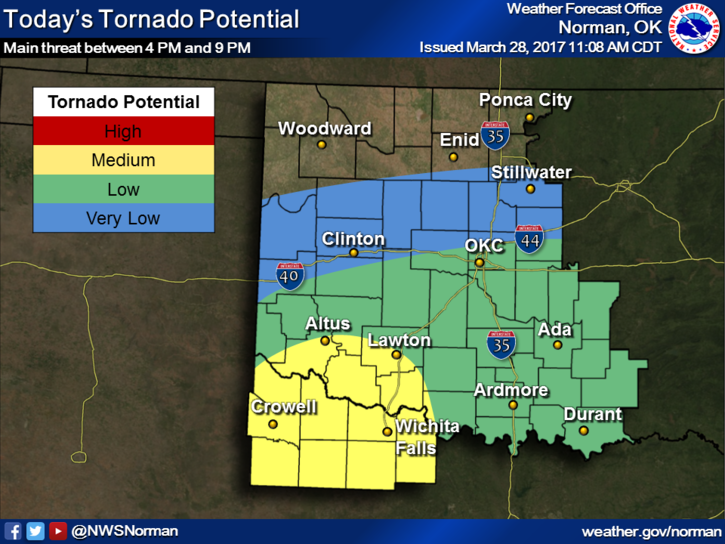 As the storms move east, the main threat will be damaging wind, though large hail and tornadoes will remain possible. 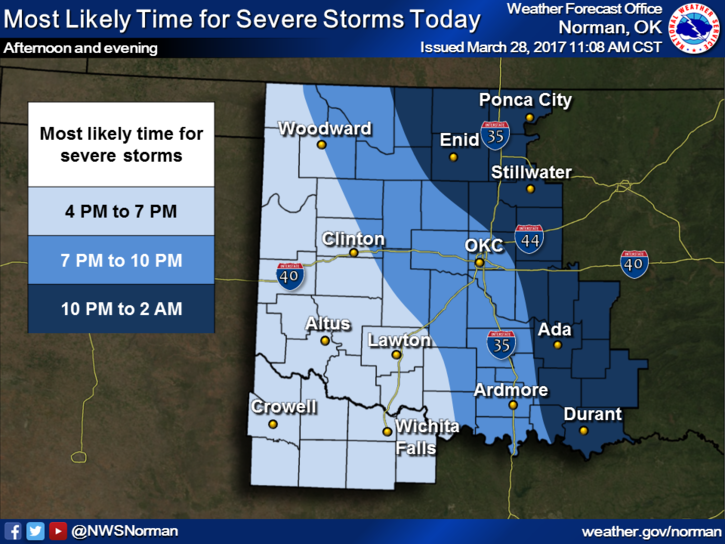 Forecasters predict the storms will reach the Oklahoma City metro area between 7:00 p.m. and 10:00 p.m. Tuesday evening. 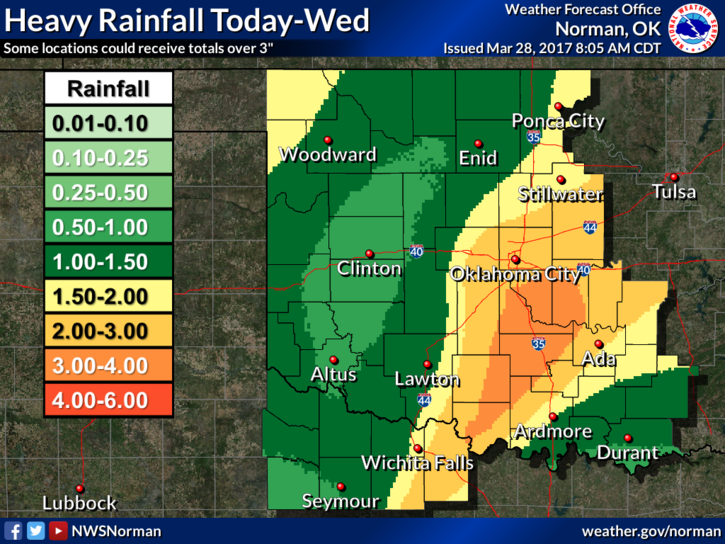 Heavy rainfall is expected overnight. The most likely area for heavy rain will along the I-44 corridor. There is a possibility for localized flash flooding. 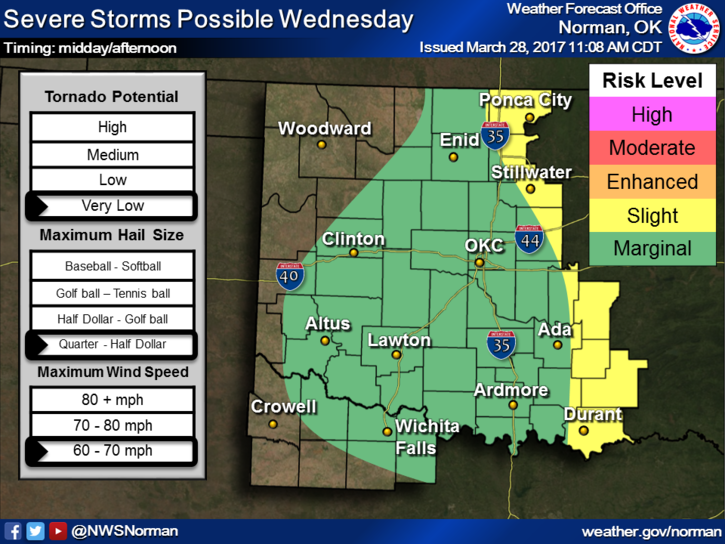 A slight chance for severe thunderstorms will remain on Wednesday, primarily east of I-35 by the afternoon.